Ideal for new believers--or anyone exploring the Bible for the first time. 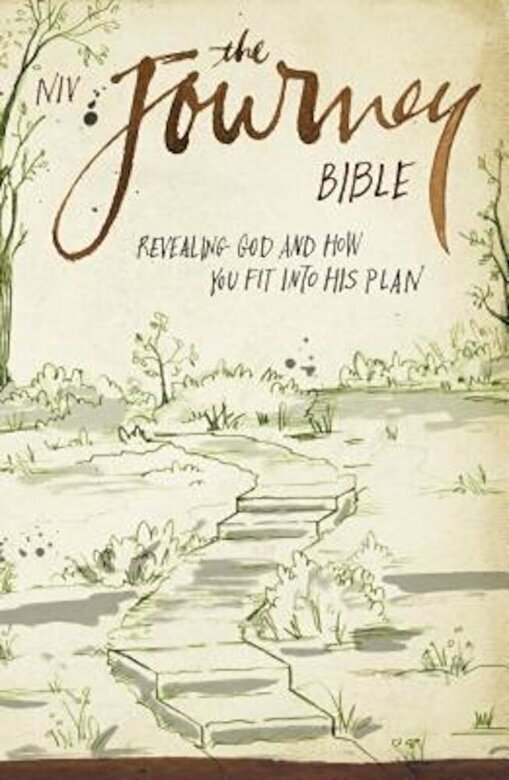 The Journey is uniquely designed to help you discover the practical aspects of Christianity and better understand God. Based on the REVEAL study from the Willow Creek Association, this Bible is intended for anyone in the investigative stage of their spiritual journey. The Journey's exploratory approach addresses key questions you may have about the Bible and its relevance today. Notes and insights are woven throughout the complete NIV Bible text, drawing you into the message and pointing the way toward a relationship with Jesus. Icons trace seven "explorer" themes throughout Scripture: "Discovering God," "Jesus, the Christ," "Addressing Questions," "Strengthening Relationships," "Reasons to Believe," "Knowing Yourself," "Why Jesus? "and "Managing Resources." Also included in The Journey are introductory articles that define key concepts involved in being a spiritually open person; book introductions; indexes; a dictionary/concordance, and a "Five Alive" reading plan covering Genesis, Deuteronomy, John, Acts, and Romans.